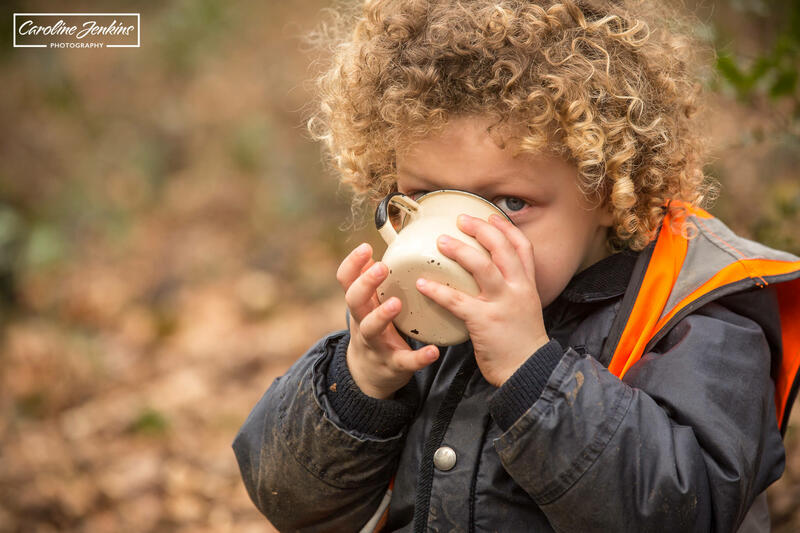 If you are not familiar with Forest School, and what the big deal is, then hopefully this blog will help you understand the outdoor phenomena that is sweeping the nation. 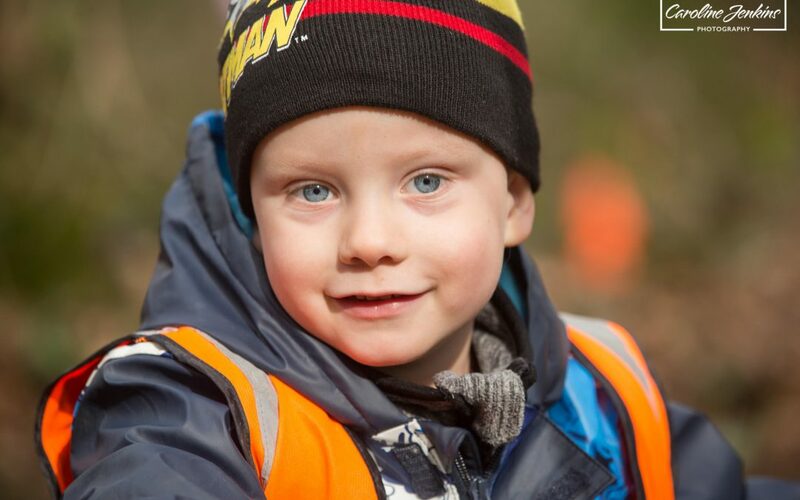 It is a Scandinavian model of educating children and young adults using nature. 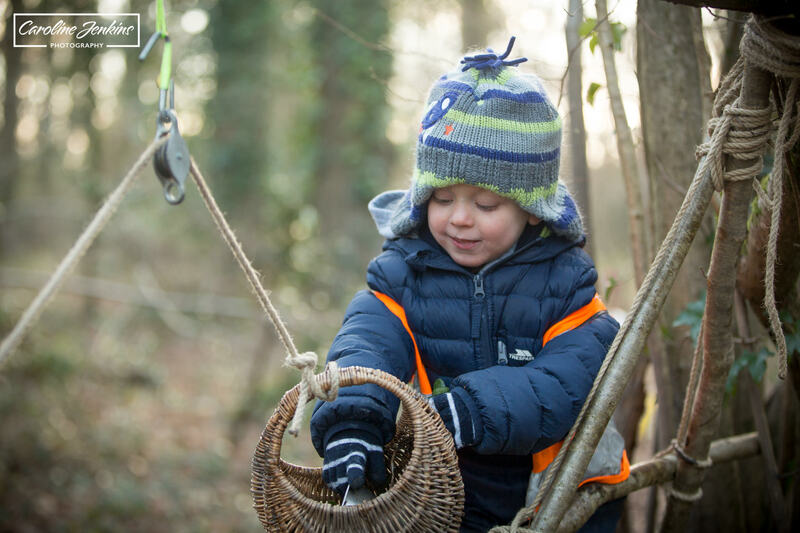 It uses an ethos of learning through play and exploration, using only the outdoors and the equipment provided. 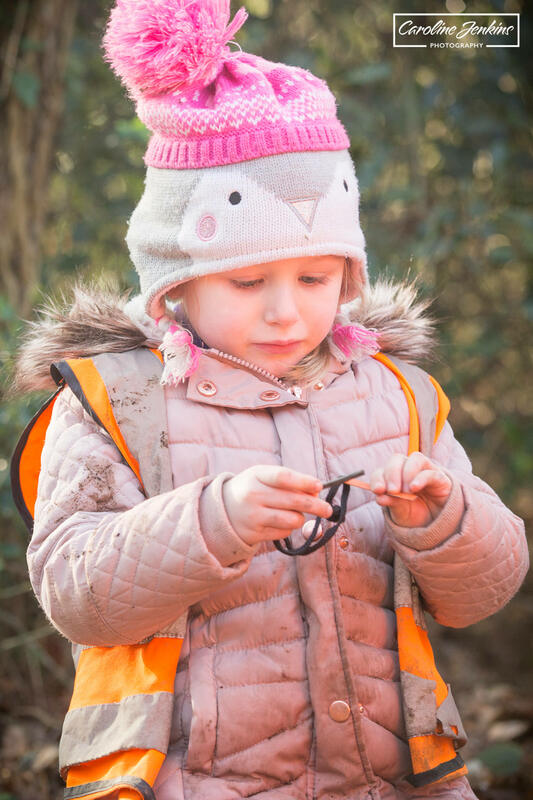 Children are encouraged to challenge themselves and investigate and solve problems for themselves, and staff are actively discouraged from providing the solutions. 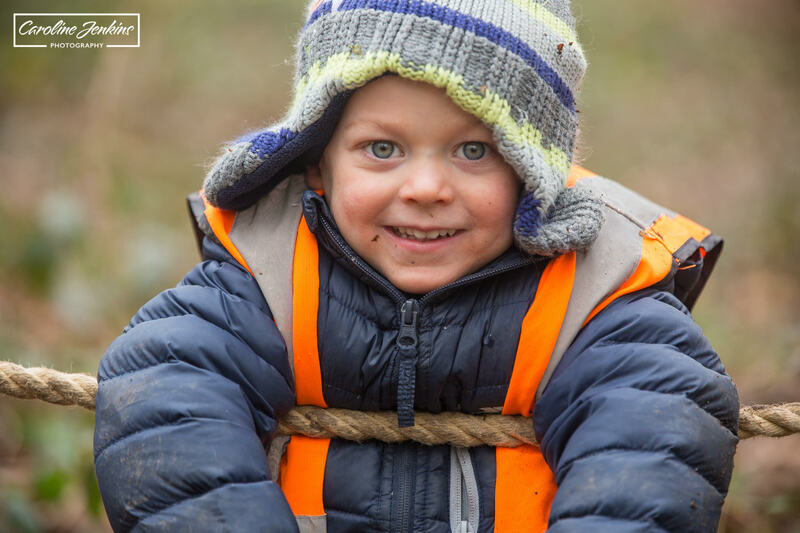 So if a child wants to balance between two ropes, they need to figure out how to do it for themselves. The idea is that children will take more ownership and therefore have more pride in their learning if they manage the whole process by themselves. The satisfaction, confidence and pride they then feel when they succeed is written all over their faces! It is immense! 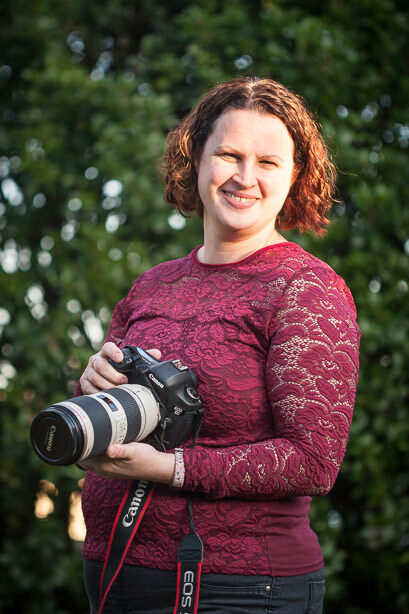 As a Mum and a former teacher, I am passionate about getting the kids outside as much as possible. 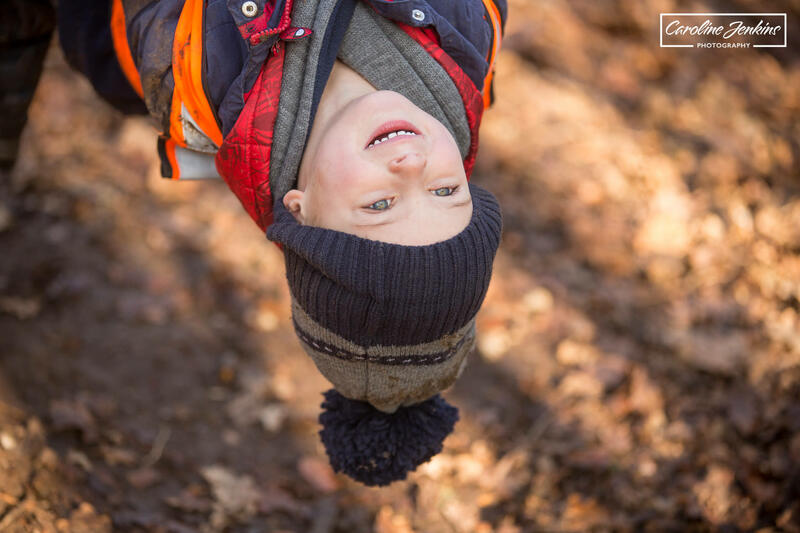 I firmly believe that children should be allowed to explore and enjoy and celebrate the great outdoors as much as possible, so when my son’s pre-school (Mulberry Corner in Chandlers Ford) sent out a letter informing us that our children had the opportunity to take part in a 6 weeks Forest School course, I jumped at the chance. 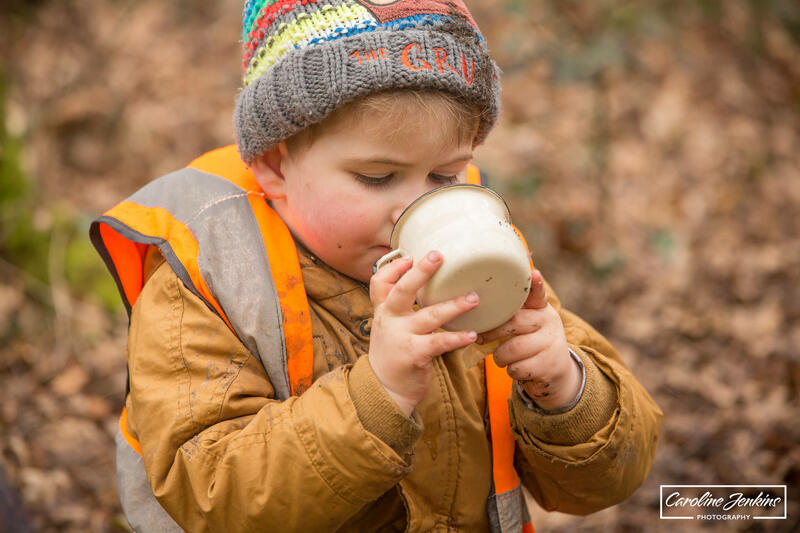 Of course, Charlie being only 4, didn’t understand what I was getting him into, but as soon as I told him that for 2 hours every week he’d be out in the woods, he got very excited! 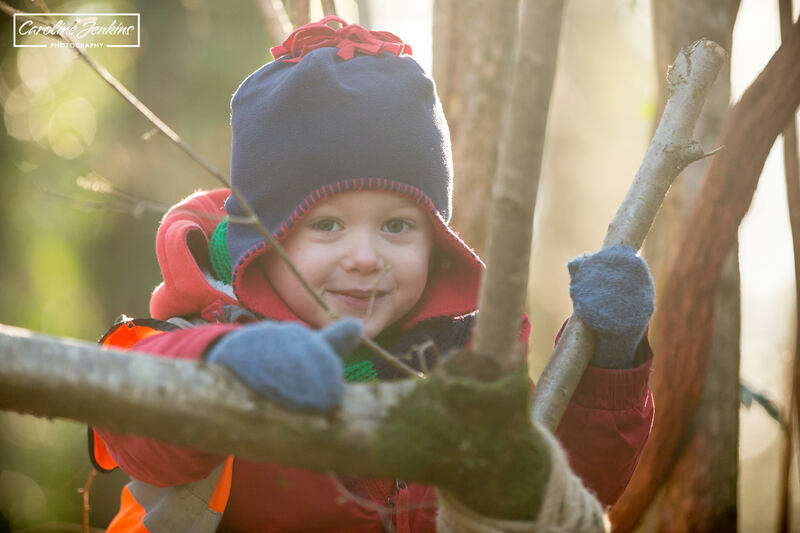 Let’s be honest, how many of us have the time to organise time (preferably with friends) to spend outside and just play in the woods? We go out every day to walk our dogs, but do we ever allow enough time just to explore and enjoy the surroundings without having to rush off somewhere else? 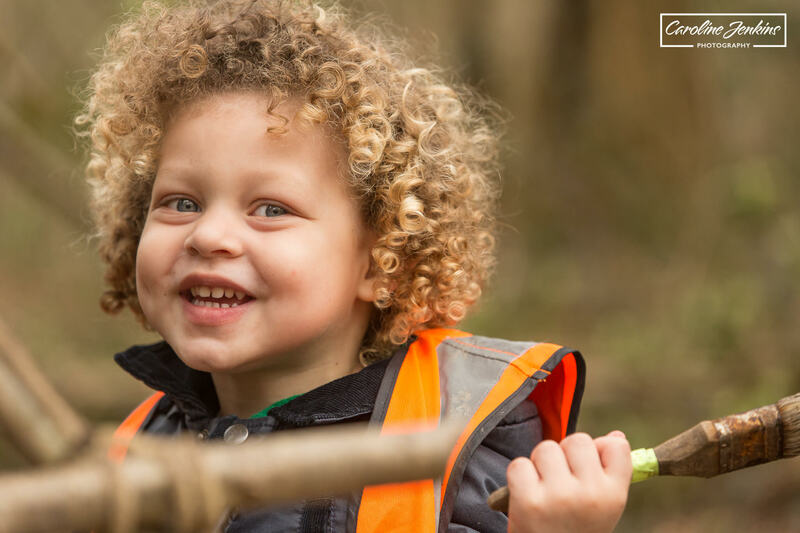 So I knew that this Forest School course was an amazing opportunity for Charlie and his fellow Pips (the affectionate name for the pre-schoolers – it stands for Play in Perfect Surroundings) from Mulberry Corner to enjoy and have the time that they deserved to enjoy their local surroundings. 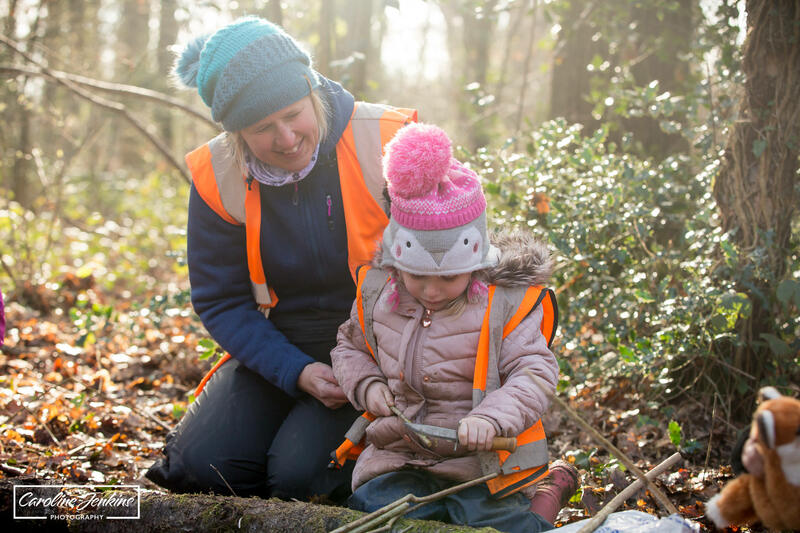 I have been so lucky to have been able to attend a couple of local Forest School sessions now (run by Sarah from Kindling Forest School in Winchester), and to be able to capture it for all the Mums and Dads to see. 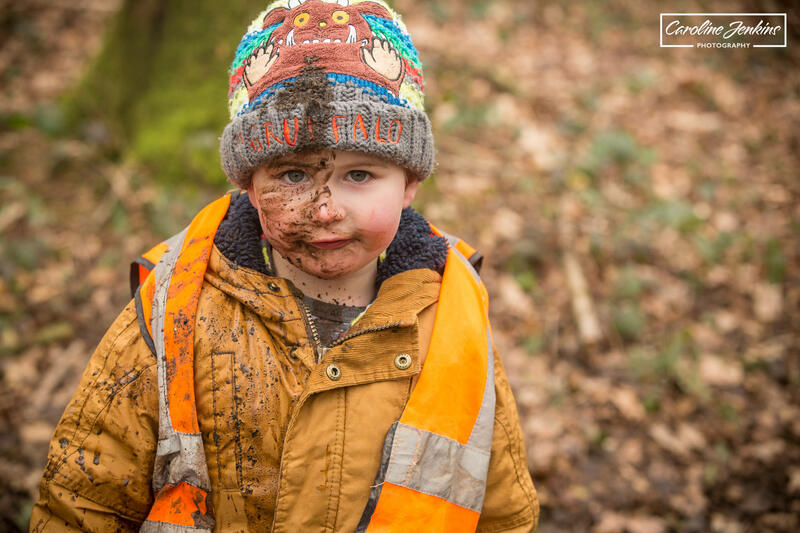 Some may see their children in a whole new light, some may baulk at the amount of mud, but nobody can deny the smiles and the enjoyment that every single one of the those children is radiating. Both sessions followed the same formula and schedule – it’s good for children of that age to know the expectations and schedule of things. 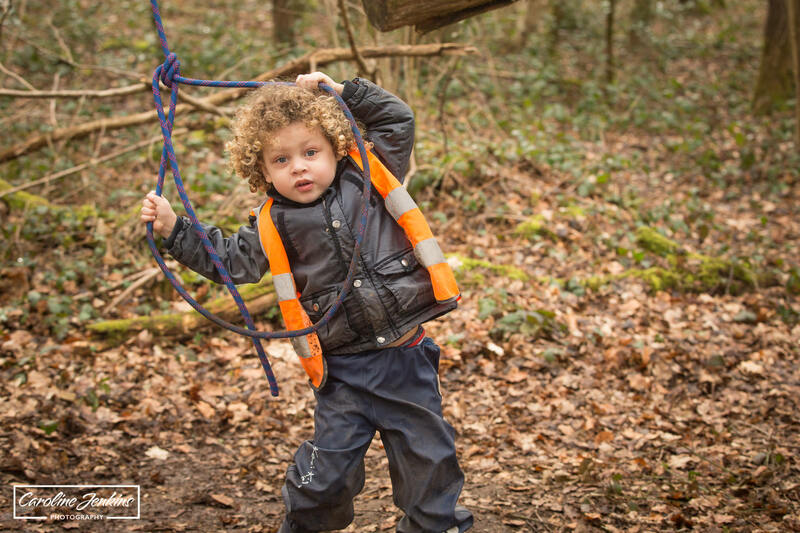 They started off with a walk through the woods until they got to the ‘base camp’ (a cleared area within the woods). 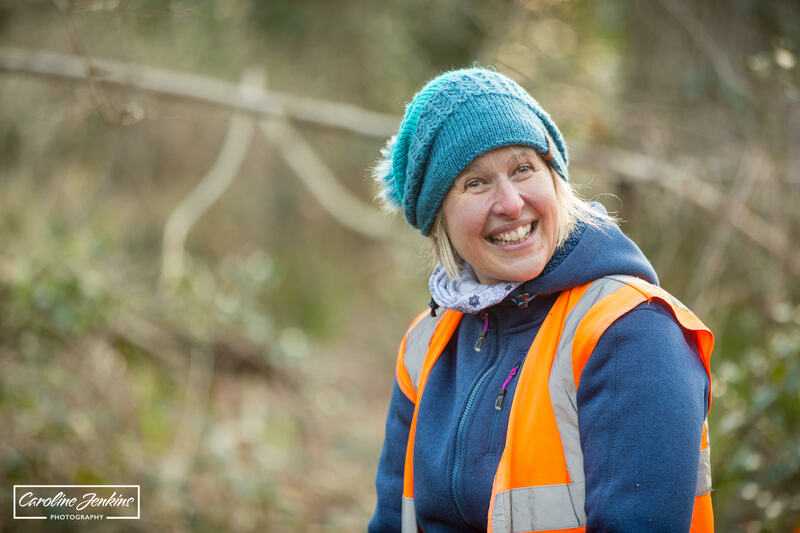 Sarah was very good at pointing out and explaining different things along the way – like the catkins growing on the trees, the acorns on the floor and other such features of nature. The children knew that they had to walk holding hands with their walking partner, until they reached very narrow parts, and that was when they had to walk sideways and in single file like crabs! After settling into a circle around the campfire (not yet lit), the children and accompanying staff were encouraged to join in a welcome song which I found a lovely way to start a session. Each adult and child was welcomed by name and waved at. A lovely way to make everybody feel included and welcomed. There was a reminder on the camp rules – don’t go beyond areas that are marked out, don’t go inside the circle of rocks mapped out around the fire, share and look after the equipment and don’t go past the cone. Sarah then explained the activities that had been laid out for them to try. After that, they were given free reign to go to the different activities, which were each manned by a member of the pre-school staff. 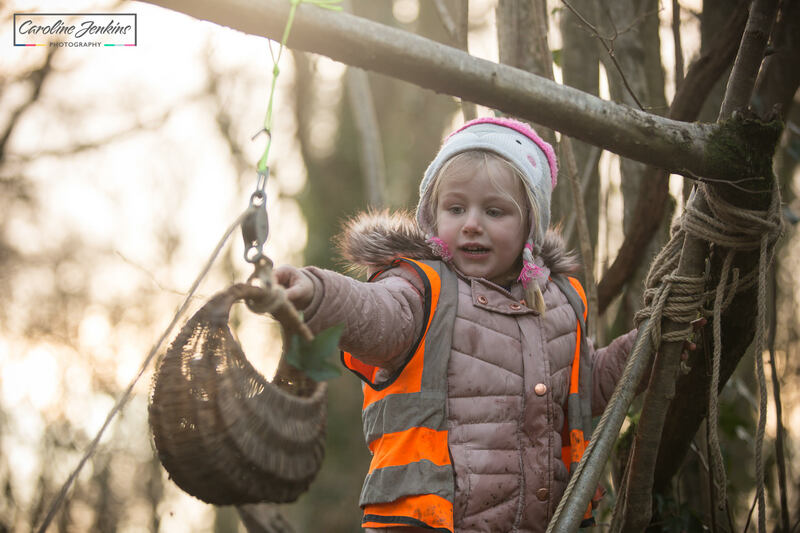 There was a wooden ladder leaning against a tree which children could climb up and then reach for a basket that was on a pulley system. This involved helped from a friend, so was great for encouraging communication, encouragement and test work among the children. Can I remind you at this point that they are 3 and 4 year olds! The idea was to use the pulley system to pass the basket from the ground up to the top, where they could fill or empty it as required. 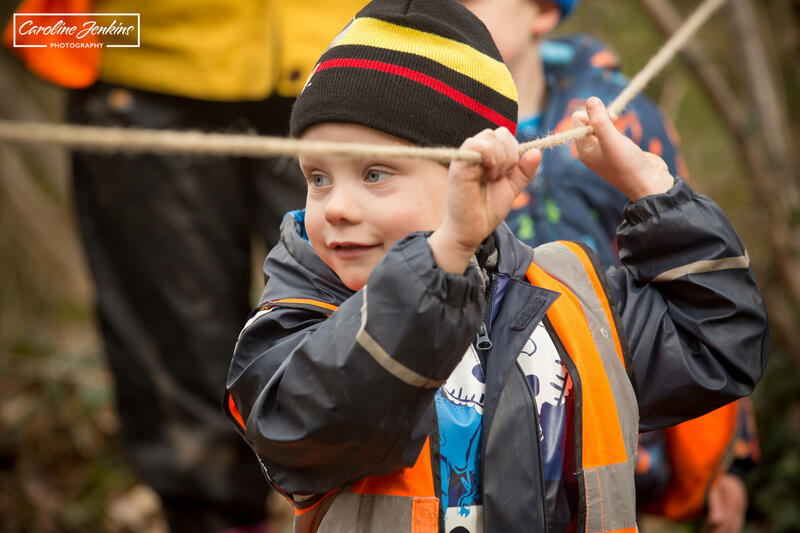 This took a lot of teamwork – from helping one another to climb up the ladder, to making sure they could reach the basket at the top, and if they couldn’t, they need to feed that back to their fellow Pips and ask for help. Other activities included working together to lay a tarpaulin over some ropes to create a shelter, making ‘mud drinks’ with mud, kettles, saucepans and sticks for stirring. This was great for imaginative play and it was wonderful to talk to the children about what they were making, who it was for and what other ‘ingredients’ they needed to add to complete their recipes. At that station were also a few paintbrushes so the children could paint the trees in mud! A fabulous activity which allowed them the creativity that some may never be able to express! Interestingly, the children didn’t view it as muddy water or a plain old brown colour. They saw a rainbow of colours and loved describing the colours that they were painting onto the trees! 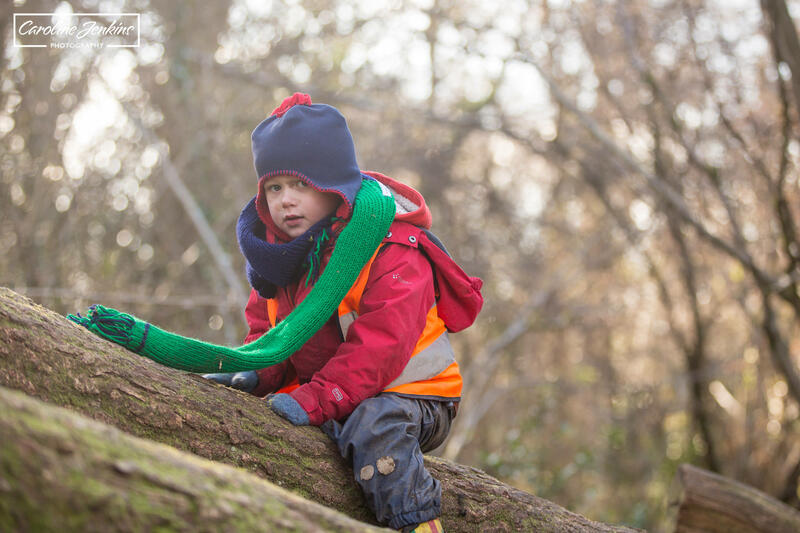 In other areas were ropes – some were tied between two trees over a ditch and children could climb over the ditch, which at various times seemed to be inhabiting various sea monsters / dinosaurs / sharks!!!! This was a great activity for encouraging turn-taking and encouragement between the children, but more importantly I felt that it really encouraged the idea of action and consequence. The children soon realised that if more than one of them was balancing on the rope at any one point, it made the rope bridge very wobbly and difficult to negotiate. So they learned to wait. 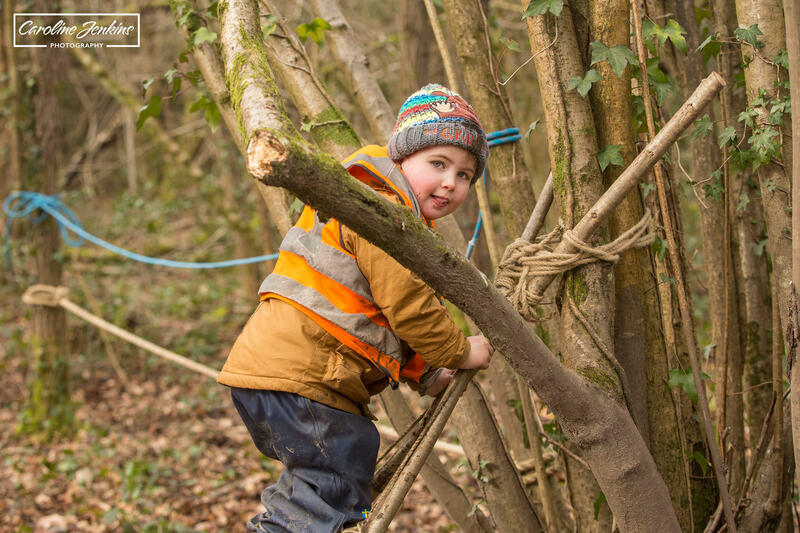 Some children spent entire sessions just tying different ropes into knots around the trees which showed just amazing dexterity, concentration and focus. 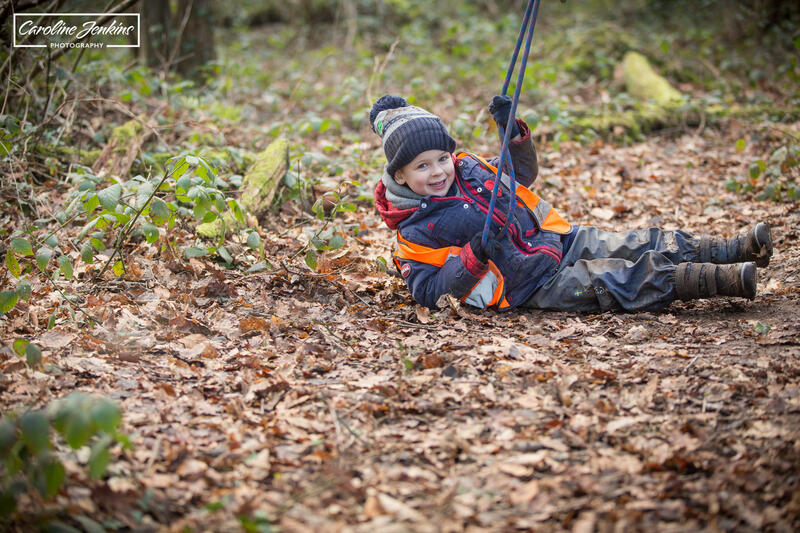 There was also a rope swing / loop hanging from a tree which the children enjoyed standing in, sitting on, lying on in order to swing around and then inevitably fall off (but encouraged great turn-taking and spacial awareness as nobody could stand too close as they might get knocked into). 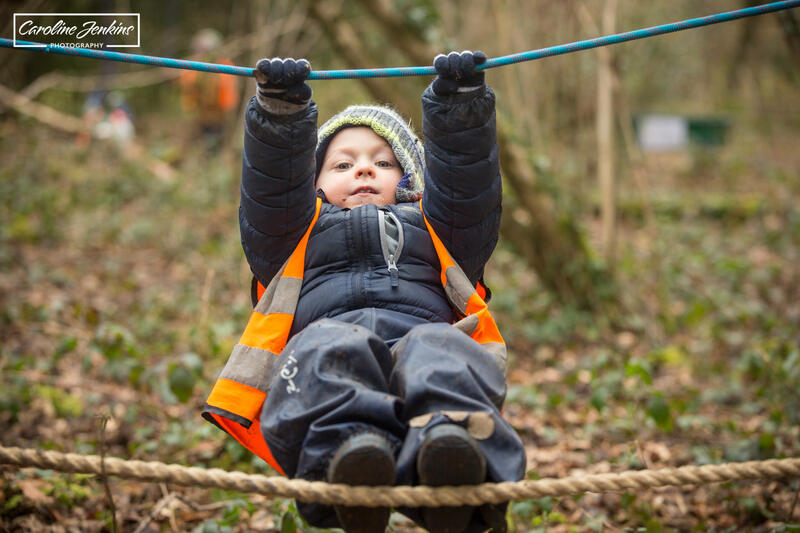 This particular activity really encouraged perseverance – it was difficult for them to step onto the rope and grab it without falling over. Clearly the aim was to lean backwards and swing, which was easier for some than others, but clearly had taken the 6 weeks for most to master it. I spent a while here with my son Charlie, talking it all through, and I cant tell you how many times he fell onto the ground (only 6 inches or so below the rope). But the moment when he did it? The physical process for him just clicked and he was unbelievably proud of himself and wanted me to capture it on camera as he was so pleased with himself!! That particular tree also had a rope tied halfway up the truck (which had sort of grown at an angle of 45’). This was to act as a marker for the children to aim for if/when they climbed up. I don’t think they were allowed to climb higher unless there was an adult there to supervise. 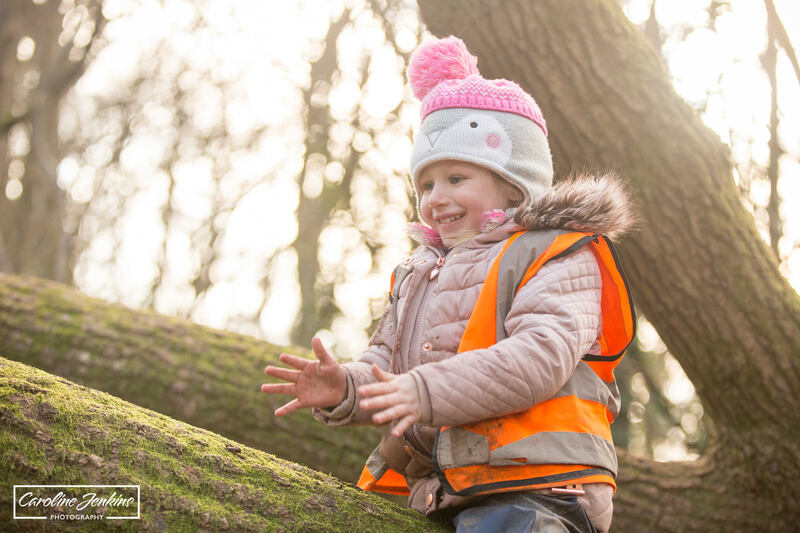 The elation on children faces when they reached that marker, and then managed to lift both hands off the tree to give themselves a round of applause, was just beautiful to witness! One girl looked at me like I was crazy when I suggested it to her, but I know she was safe and then managed to witness an amazing moment of pride and achievement when she did it! 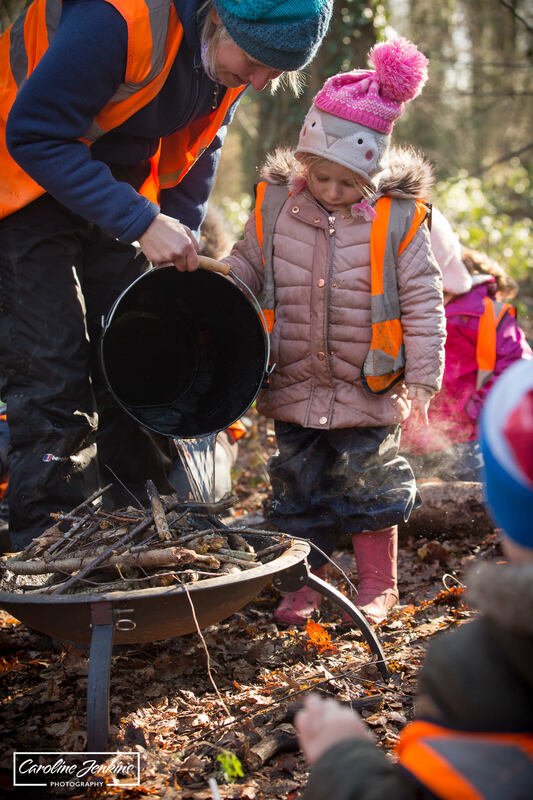 After about an hour of the activities (children could move around at their own pace and leisure), the children were then called back to the burning campfire, which Sarah had already lit (with the help of a child, lots of log kindling and a sparker). They were then invited to toast their snack (either malt loaf or bread) over the fire using sharpened sticks (which they themselves had helped to sharpen, again with Sarah’s assistance to use the sharp knife). The children were all incredibly sensible, and acted according to the responsibility that had been placed upon them. 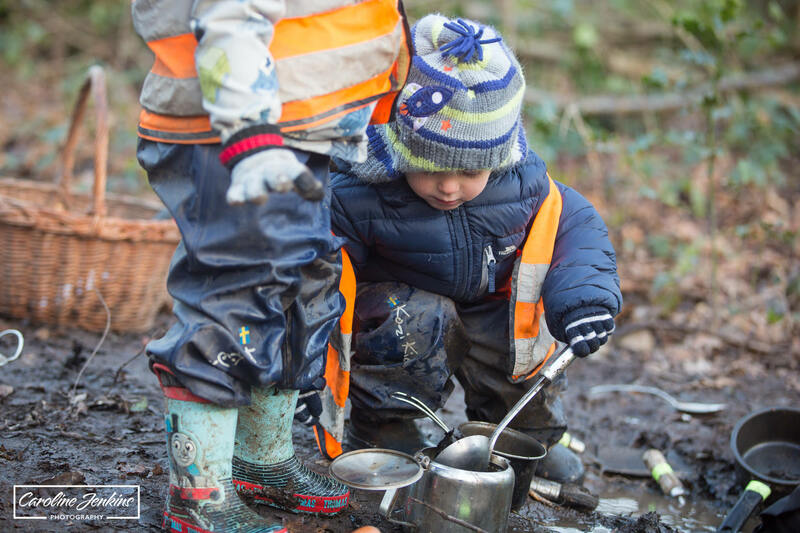 After their toasted snack (and hot drink from the thermos flasks provided by the pre-school staff), it was then the responsibility to put the fire out safely. Sarah chose one child to help her douse the fire carefully with a bucket of water, and the children were told to keep well back. They then had a few more minutes to head back to their activity of choice to play/explore/learn! At the end of the session the children were told that it was time to tidy up. 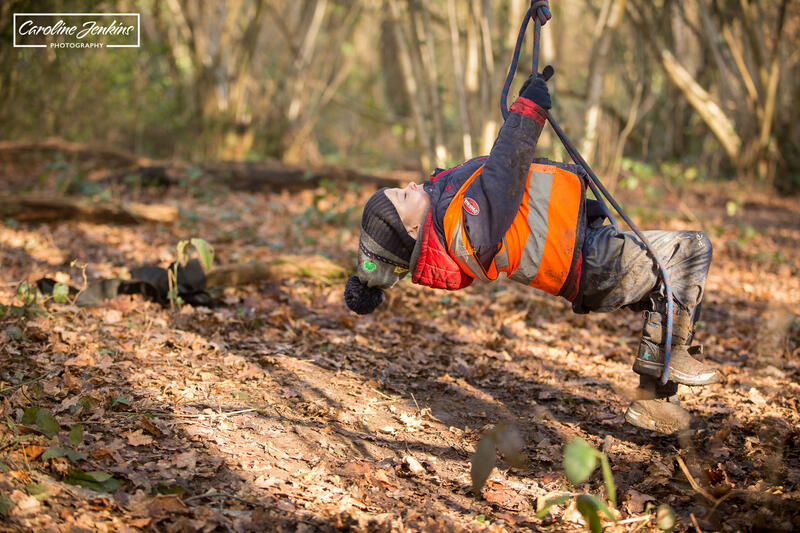 There were none of the usual moans or groans that you might have expected from a group of pre-schoolers who had been told that their fun in the trees was over. There was nobody refusing to co-operate. They all just calmly and sensibly helped the adults to pack up the activity that they were last on. Now bearing in mind that I attended the last session out of 6 for both courses, the children would have been shown many times where to put things and how to pack away properly. I was incredibly impressed with their co-operation, their productivity and their sensible attitudes, not to mention the speed with which all the equipment got washed (where necessary) and put away. 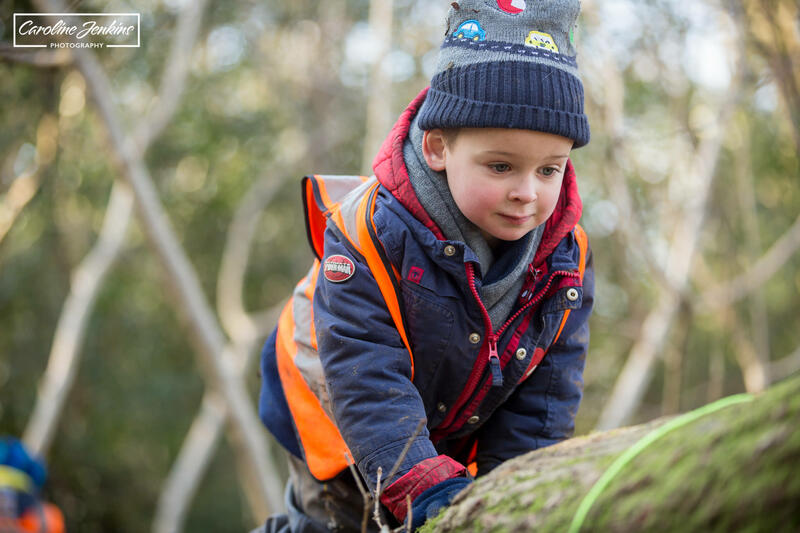 Forest Schools is about personal growth. 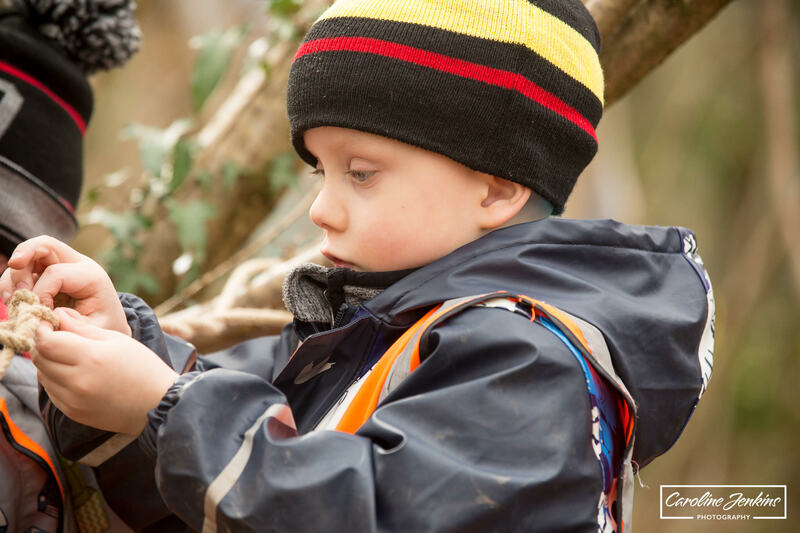 It aims to encourage confidence, self-esteem and resilience through the use of the outdoors. I saw that in abundance in the 4 short hours that I was there. 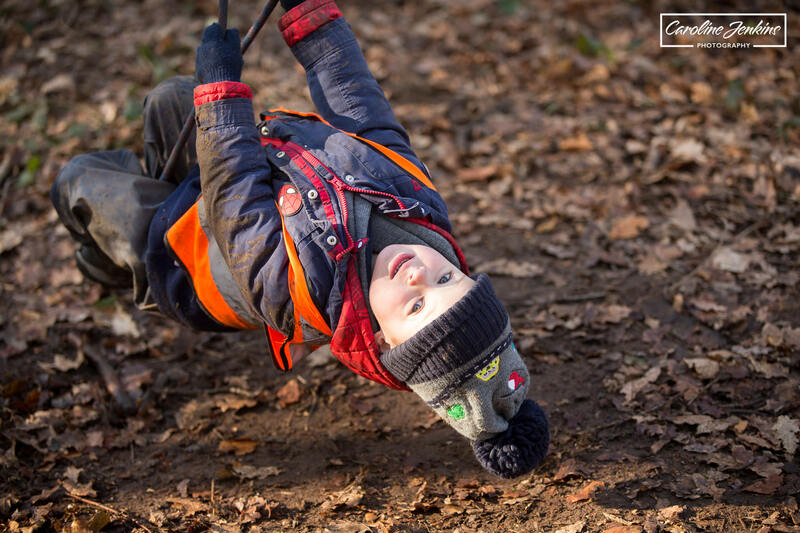 It was apparent in every child having the confidence to take risks, whether it be to climb a tree (that they would never have previously had the courage to do so), balance on a rope over a ditch or even allow themselves to get muddy where normally they would hate the dirt. I also saw teamwork, co-operation and support for one another. I saw 3 and 4 year olds using incredible language to communicate effectively with one another, and encouraging one another when they were struggling. 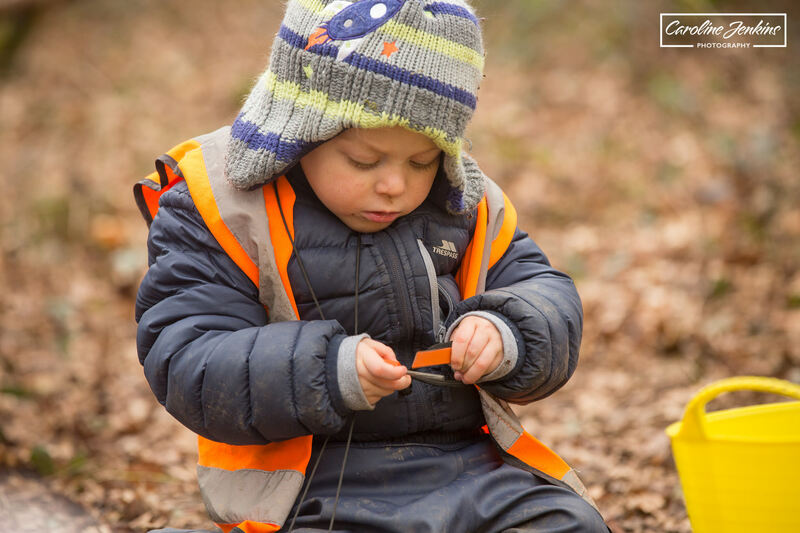 I fully believe that Forest Schools are such an amazing opportunity for the lucky children or young adults who attend. 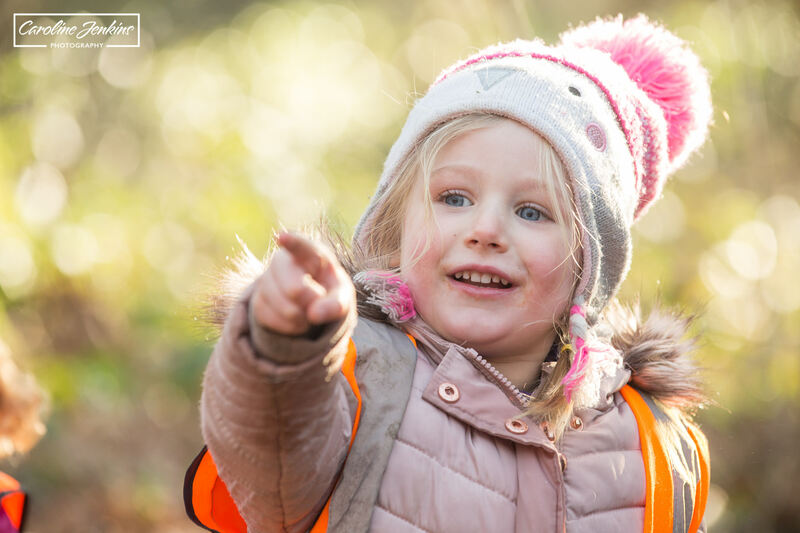 It is well known that everyone needs fresh air and vitamin D in order to be able to concentrate for longer periods, and what better way to get that, than in the woods under the guise of ‘playing’ and not realising how many key social and personal skills and qualities you are building up in the process. 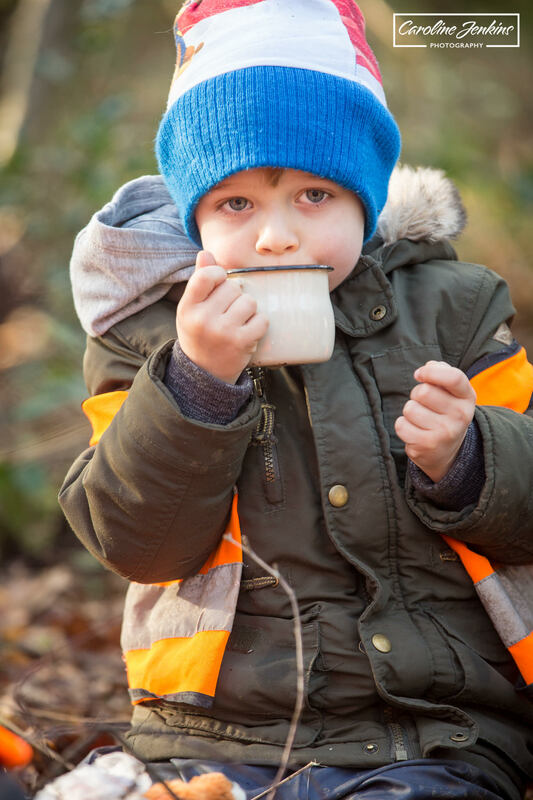 I wonder – if all pre-schools, schools and colleges had the finances and local grounds to support such a scheme, how much children’s mental health as well as educational abilities would benefit as a result? It’s such a shame that some children will never get to experience such a formidable adventure and quality platform for their learning, I just hope that the ones that do grab the opportunity with both hands! Such wonderful photographs! 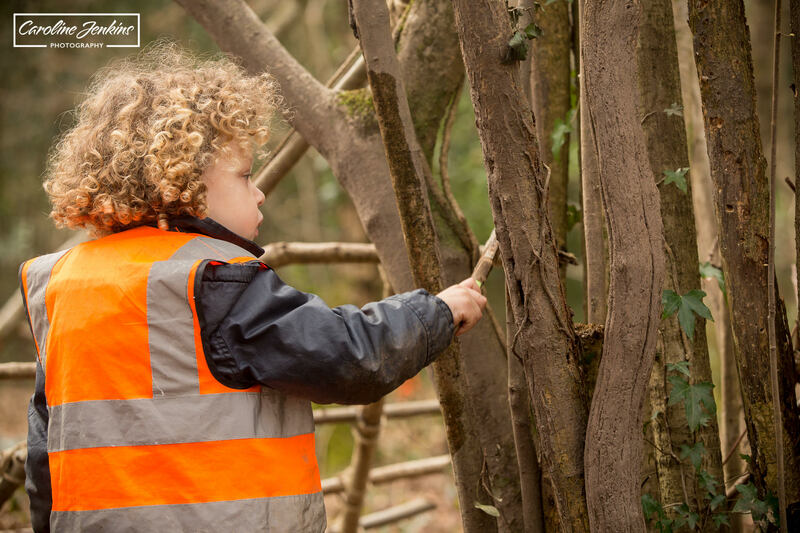 I’m Forest Leader at a Forest Pre-school so this is what we do each day we’re open, in the woods 9.30-2.30! 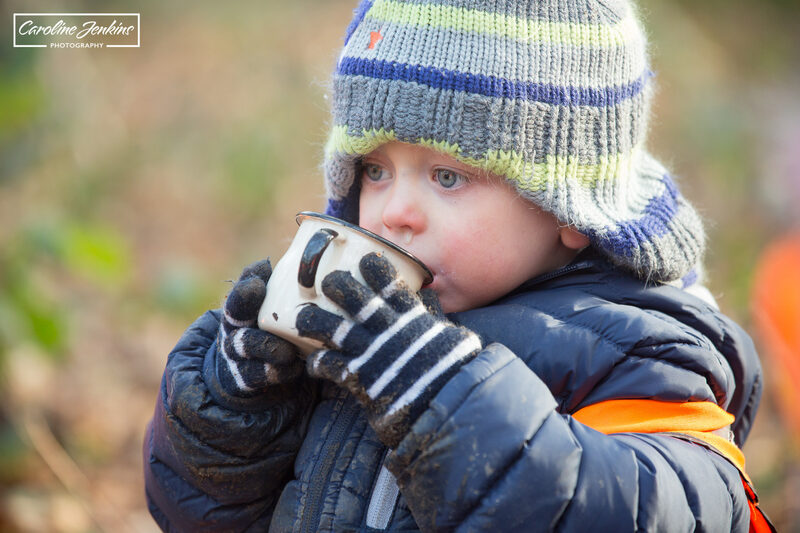 There is only a bell tent for indoor space so the children are outside in all weather, all year round. 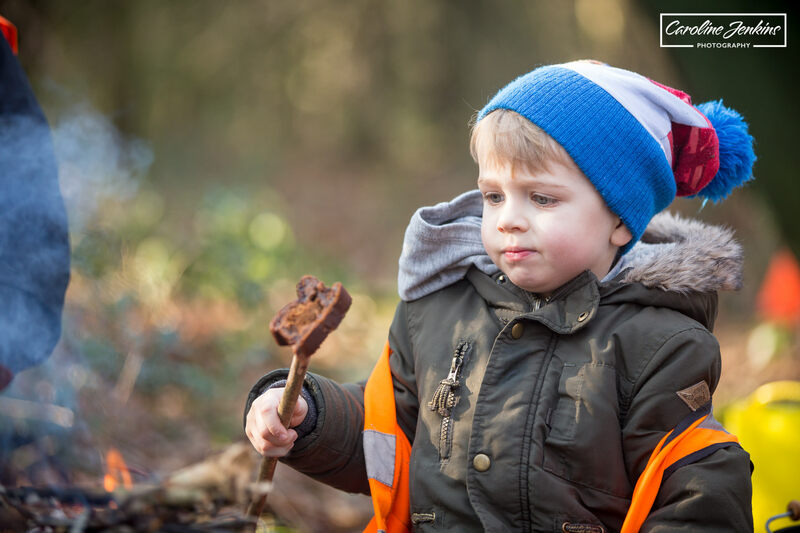 It’s amazing, you’ve completely captured the ethos of Forest School. Our children are so resilient, determined, imaginative and engaged. 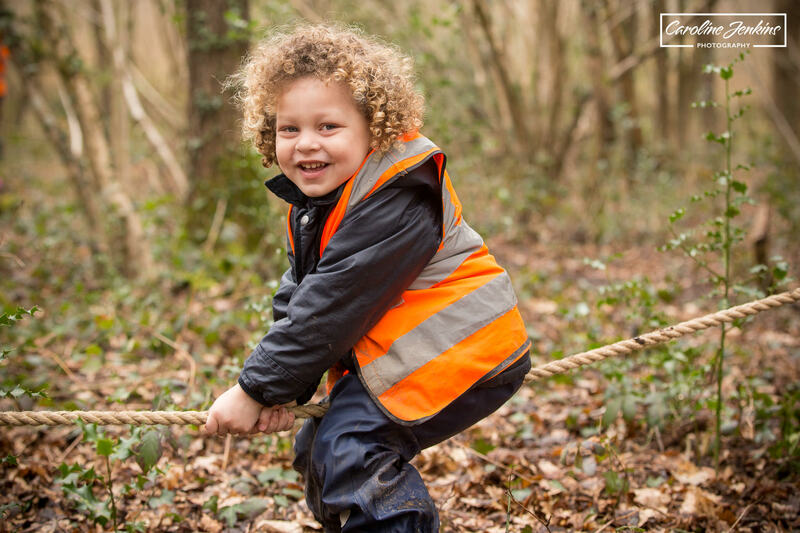 I’ve worked in childcare for many years, but Forest School is totally the way every child should be allowed to learn and explore!